Freedom of Information Act Info. Welcome to Honington CEVCP School. 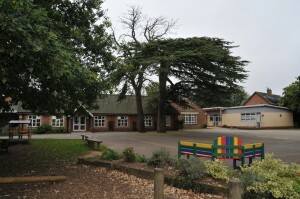 We are a friendly rural school set in beautiful Suffolk countryside. I am proud to have joined the school as Headteacher in September 2015. At Honington CEVC Primary School we value the benefits of working together in a caring school whose values are rooted in the Christian faith. Our school is at the heart of our community, next to the church. We provide a stimulating, supportive and challenging learning environment in which all learners are valued for the contributions they make. We pride ourselves on ‘Aspiration for All’. Please browse the pages on this site, but to get a full flavour of the school you need to pay us a visit. You will be given a warm welcome and will be able to see the school in action. © Content copyright - Honington CEVCP School.